There is nothing more frustrating than a chaotic and messy home, which is why storage is so important. With a good storage system, you can have a neat and organised home that is attractive as it is functional. So how do you find extra storage space in your home? 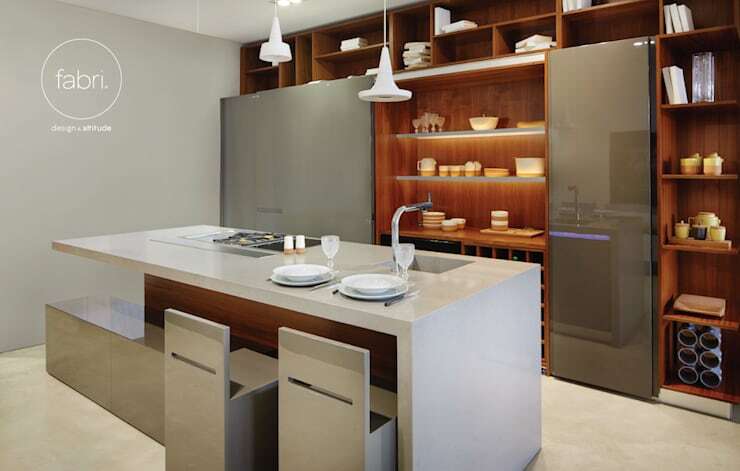 Today we are going to explore the bathroom, the kitchen, the living space and even the bedrooms to show you how you can maximize the space available to you. Shall we start exploring these nifty tricks? 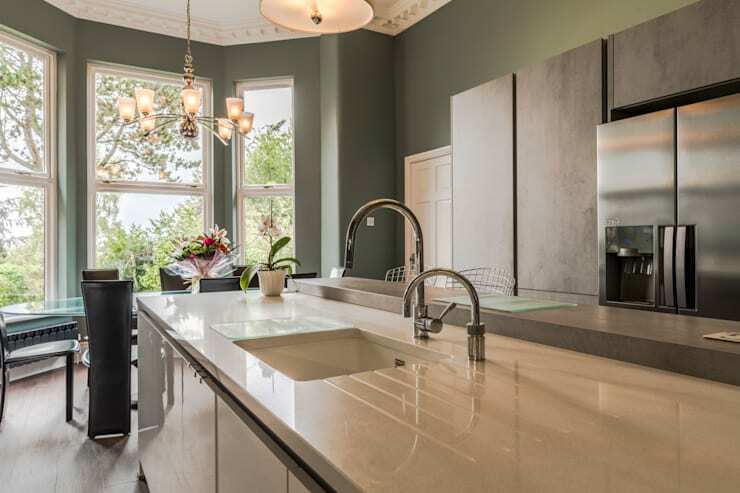 A kitchen island is one of the most ideal additions to the kitchen as it allows for extra storage as well as an extra surface area for cooking and preparing food. Have a look at this article to see how many options exist: 24 spectacular wood kitchens: find the style you're looking for! The kitchen is one place where you really can't afford to live in chaos. Insert drawer dividers in your drawers and make the most of the kitchen pantry, placing items that are going to expire first at the front. 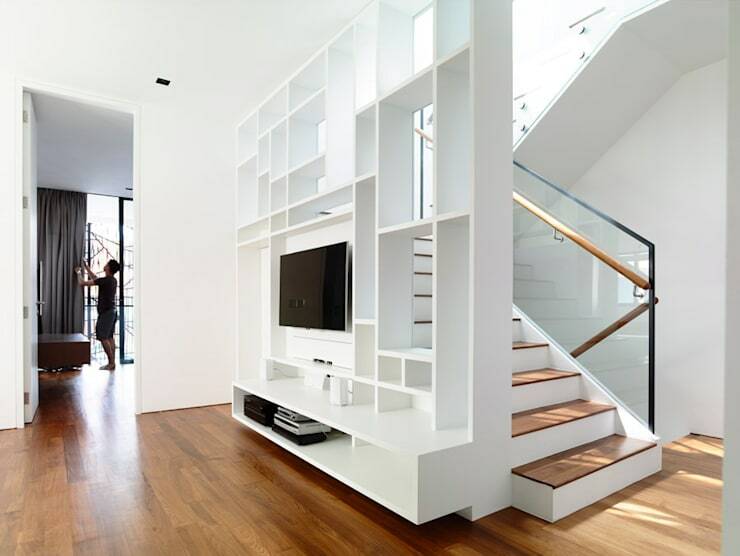 You may also want to install shelves on the walls, utilising vertical space. How often do we waste the space under the stairs? Yet it holds all sorts of storage potential. 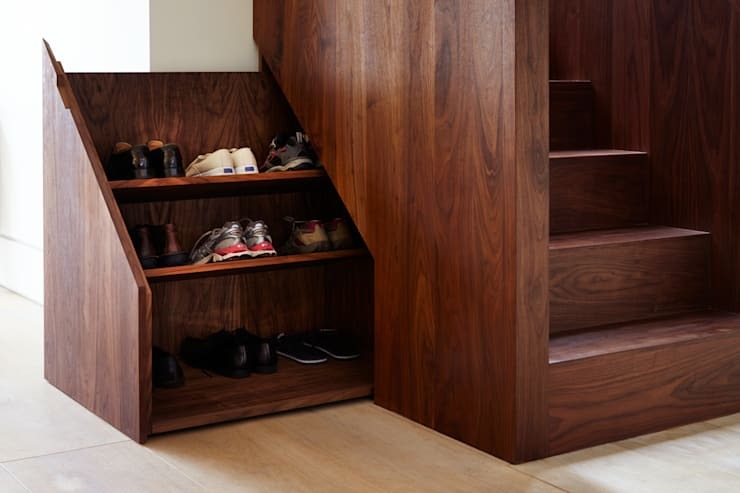 Have a look at this article for inspiration: Inventive ways to use that wasted space under your stairs. Shelves like these are very functional because they make the absolute most of the space on the walls. 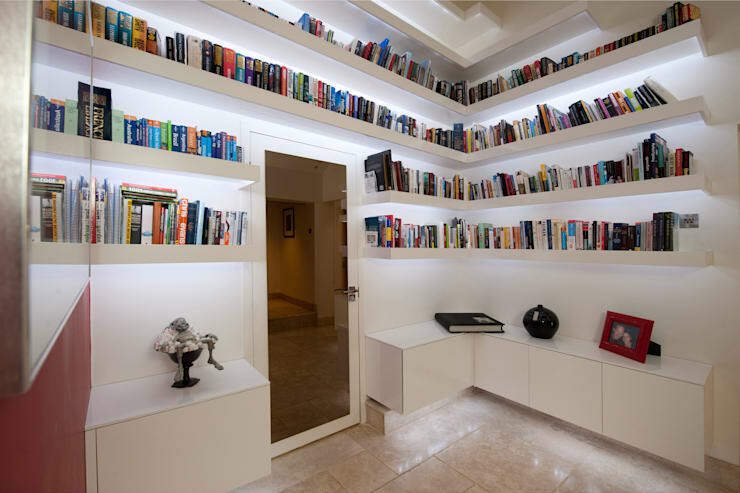 However, they also bring personality and charm into a home allowing you to put books and other decor accessories on display. 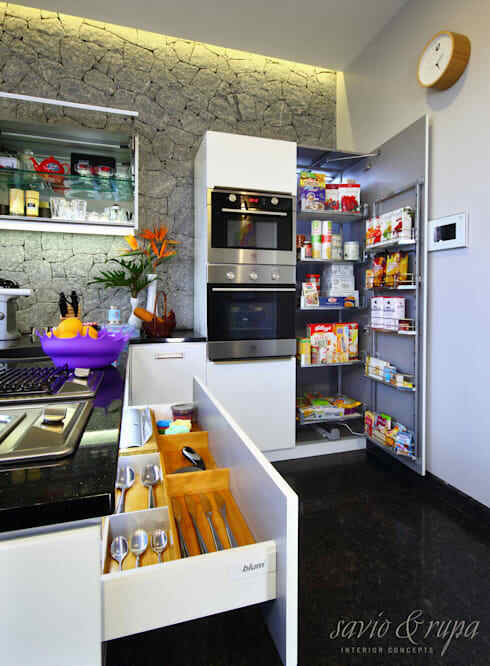 Opt for cupboards or shelves that are discreet and don't take up too much space when you aren't using them. 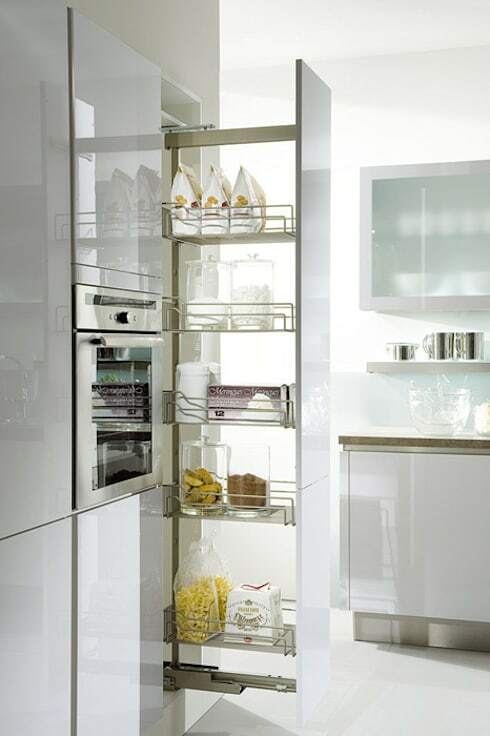 Here we can see how these pull out shelves are ideal for condiments, crockery and kitchen utensils. It fits snugly in next to the oven when not in use. Most of us have plenty of cupboard space in our bedrooms, but we store clothes, shoes, accessories and linen that we know we will never use again. Do a spring clean and be ruthless about it! Only the most necessary of items should stay! 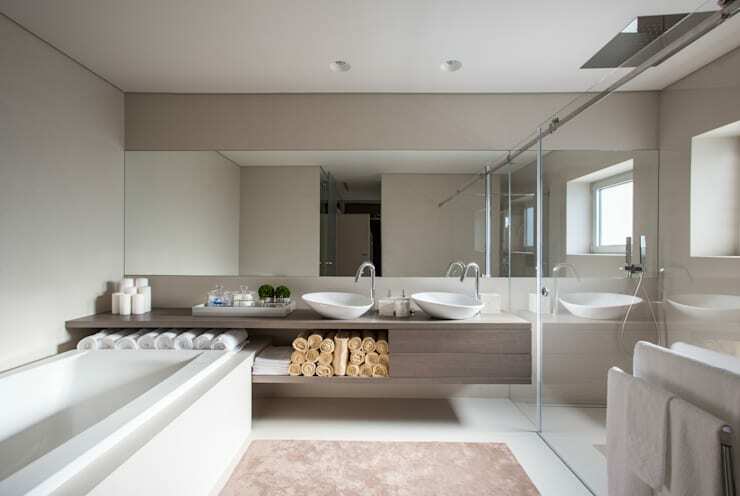 Your bathroom should also be neat and tidy at all times. You don't want guests to see all of your personal creams and lotions or for towels to be strewn across the floor. Make the absolute most of the storage space under the sink where you can keep items neatly tucked away. If we come to the bedroom space, think about how much space we waste underneath the bed! Yet we can use it to store suitcases or other items. 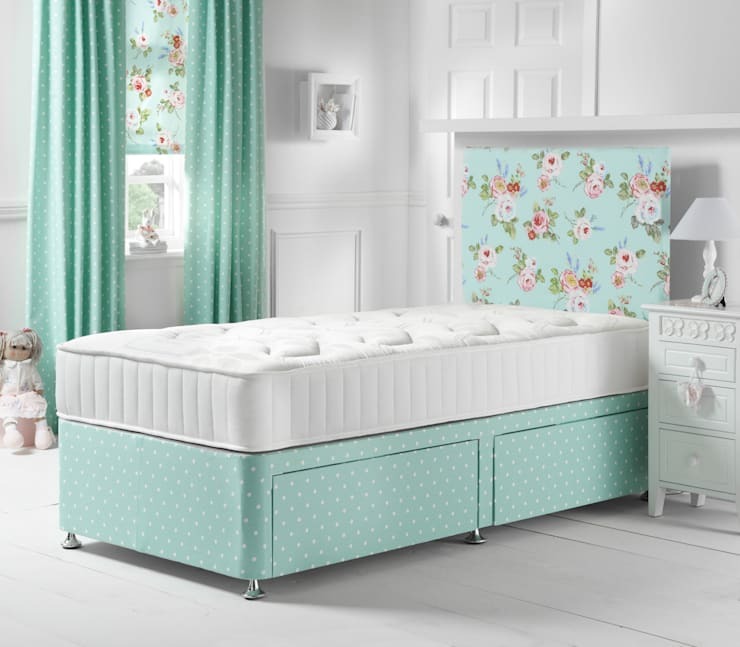 The other option is to install drawers under the bed, where clothes, shoes and other items can be organised and arranged. Nifty and useful! Use this space wisely! Think about how many remote controls and cables we have lying around the home. By placing them neatly in a drawer or on a shelf, you can instantly make your living space more neat and tidy. Also have a look at these tips: How to clean your home properly. 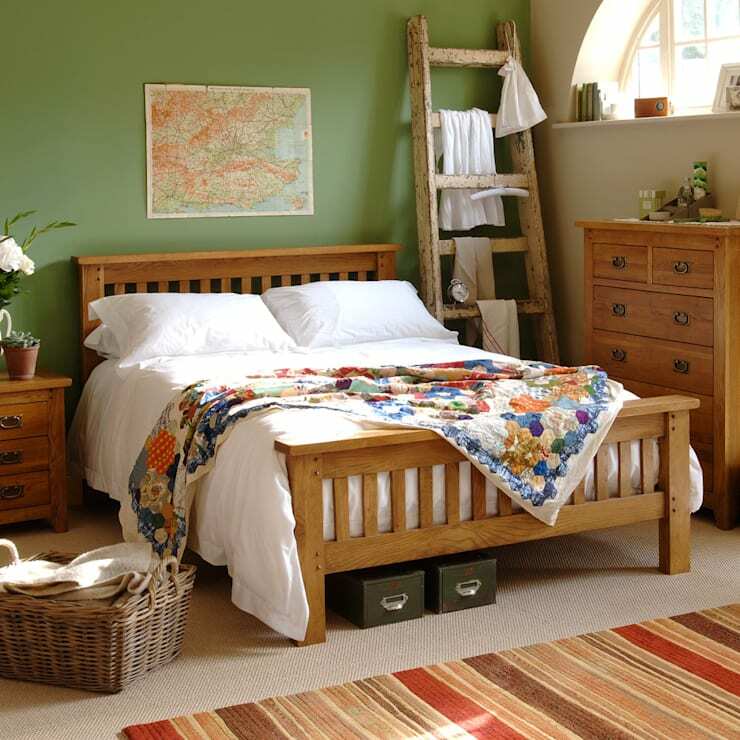 Add an old ladder to your bedroom or bathroom and use it to hang up towels or clothes. Not only is it trendy and chic, but it is very useful for storage!